Last year carried a double reason for celebrations at Gary Farrell Vineyards and Winery. Not only was 2014 the 30th vintage for their wines, but it marked the first vintage with winemaker Theresa Heredia at the helm for the Chardonnay and Pinot Noir releases. Farrell GM Nancy Bailey says Heredia "was a rising star when we hired her" in 2012, having racked up acclaim as winemaker at Freestone on the Sonoma Coast after a stint in Burgundy. Bailey says the winemaker is a "warm, thoughtful, deeply engaged person who is helping to forge a new identity for Gary Farrell Winery." Wouldn't we all like to be thought of so highly by our bosses? The 2012 Russian River Selection Chardonnay is composed of Chardonnay grapes from nearly every quality vineyard in the region. I tried counting them, and I had two fingers leftover, so the number must be eight. Pressing for each vineyard was done in accordance with the fruit quality. A special selection of the juice was left in contact with the lees - the spent yeast cells - for a fuller, rounder mouthfeel. The grapes were harvested at slightly lower sugar levels to get more varietal character, purity, acidity and terroir from each vineyard. Here’s how they describe the various vineyards which contributed fruit to this cuvée: "Anchored by the naturally balanced character of Westside Farms with intriguing floral and stone fruit notes from Bacigalupi Vineyard,the wine's great concentration and structure derive from the nearby Rochioli and Allen vineyards. Olivet Lane Vineyard's Wente clone adds refreshing citrus tones and excellent acidity." Grapes from Lazy W Vineyard, Martinelli Vineyard and McIntyre Starr Creek Vineyard were also employed. This 100% Chardonnay wine aged for seven months in French oak barrels, 35% of which were new and therefore offered more oak influence than a previously used barrel. The wine carries a moderate 13.5% abv alcohol content and 6,902 cases were produced, which sell for $35 per bottle. This Chardonnay is big but not even a little bit flabby. The oak and lees contact have given it heft and character galore, while the fruit holds its own. Aromas that say "oak" are first from the glass. Vanilla, smoke and earth join apricot, peach and apple for a festive nose. The palate is about as brawny as a white wine gets. Tropical fruit and oak toast meet in a delicious battle that neither force can win - they are too evenly matched. Heredia employed the saignée process in the 2012 Russian River Selection Pinot Noir, removing a small amount of nearly clear juice at pressing "to maintain desired concentration, structure and balance." Small percentages of whole clusters - stems and all - were used for structure and spice, while extended maceration kept the wine on the skins longer to benefit structure and develop more complex flavors and aromas. The grapes also came from eight different vineyards for this 100% Pinot Noir wine. The Bacigalupi and Floodgate vineyards are near the Russian River, so they get plenty of foggy mornings, sunny days and cool nights. The Toboni and Nonella vineyards are in a cooler, foggier sub-region, the Santa Rosa Plains, while the Hallberg and Stephens sites are cooler still, in the Green Valley area. Grapes from Rochioli and McIntyre Starr Creek vineyards were also used. The 2012 vintage yielded what Heredia calls "some of the best quality fruit the winery has seen in decades." The wine aged for eight months in French oak barrels, only about a third of which were new. Alcohol hits 14.1% abv, and 9,206 cases were produced. The retail price is $45 per bottle. This Pinot is fairly dark and it smells of bacon fat, smoke, rosemary, white pepper, black tea, vanilla and cafe au lait. What an array of aromas! The palate seems almost anticlimactic after all that. The fruit is pretty ripe, so the classic tartness of Pinot Noir sits in the backseat - driven around by full-bodied flavors of raspberry, cherry and plum. A savory aspect grows as the bottle is open. The acidity is lively in the mouth, the tannins firm on the tongue. This is bombastic, The perfect Pinot for those who prefer a full-bodied wine like Cab or Syrah. Lovers of the grape gathered for another fun social media get-together recently, featuring hosts Stuart Spencer - who wears many hats as the Program Manager at the Lodi Winegrape Commission, Owner and Winemaker of St.Amant Winery, and President of the Board of Directors for TAPAS (Tempranillo Advocates Producers and Amigos Society) - and Rick Taylor, Owner and Winemaker of Riaza Wines and Director on the Board of Directors for TAPAS. As you may have already guessed, the topic was Tempranillo. The gaggle of wine tasters who gathered on Twitter were ready for some Lodi Tempranillo, and they were not disappointed. Comments were tweeted from @Lodi_Wine, who told us that "Nearly 25 different Lodi wineries produce a Tempranillo." They also volunteered that "Nearly 900 tons of Tempranillo came out of Lodi in 2013." The virtual tasting event spotlighted Tempranillo wines from five Lodi producers, Bokisch, Riaza, McCay, m2 and Harney Lane. Like most Lodi farming families, the dirt is not just on the Mettler family jeans, but in their genes. Head grower Kyle Lerner says that "farming is legalized gambling with more variables." He rolled the dice and married into the Mettler family, though, and he considers that a good bet. You'll find him in the vineyards, even though he would probably like more time in the tasting room. The Harney Lane 2010 Tempranillo is fashioned by winemaker Chad Joseph exclusively from Tempranillo grapes grown on the estate. Nineteen months of European oak aging lend its hand to the 719 cases produced. A 15% abv number is certainly more Lodi-like than Rioja. The wine retails for $25. On Twitter, @Lodi_Wine chirped that "the Tempranillo is Kyle Lerner's favorite varietal wine they produce." @cliffordbrown3 noted the "well worn leather, plums, blackberries, crushed stone minerals, wood smoke, white pepper, tobacco, dried flowers and a touch of dark chocolate." Tasting notes chimed in from @dvinewinetime, as well: "full of dark fruit, crisp acid and leather." @GrapeOccasions broke it down to basics: "Mmm! Big dark fruit/tobacco all around, getting a blueberry explosion!" @myvinespot loved the "rich, textured profile, ripe purple stone fruit and cedar underpinned by rustic qualities framed in dusty tannins," while @JamesTheWineGuy went for the "suede, game, crushed dried red roses, Marjoram, hint of chocolate." Something for everybody. Harney Lane's 2010 Tempranillo is very dark and quite aromatic. It smells of dark fruit and spice until I think I can't bear it. There is oak, cedar, vanilla, anise, allspice and a touch of brambly sage to tie it all together. The flavors are dark and spicy, too. Blackberry, blueberry and leathery mocha meet a strong streak of minerals over a bed of firm tannins and juicy acidity. This is a wine that will fit well with anything that comes off your grill. Structured enough for beef, the flavors will also lift a simple ham and cheese sandwich to new levels. The folks at Ancient Peaks Winery talk a lot about what unique terroir they have at their Margarita Vineyard. All that talk about dirt is not just a lot of air, either. The estate vineyard sports five different soil types, from ancient oyster beds to the remainder of ancient volcanos. Indeed, they sit in the shadow of those ancient peaks. They boast that the "Santa Margarita Ranch AVA is situated along the foot of the coastal Santa Lucia Mountain Range, roughly 25 miles southeast of the city of Paso Robles and just 14 miles from the Pacific Ocean to the west." Oh, yeah, that's another claim they now have: "Our estate Margarita Vineyard now enjoys the rare distinction of being the only vineyard located within its own namesake AVA." Well, isn't that special! Yes, in fact, it is. The 2012 Ancient Peaks Zinfandel blends fruit grown in three of those five distinct soil types. As described by the winery, grapes from the volcanic soil of Block 32 provides a varietal spiciness to the wine, while fruit grown in the shale of Block 49 kicks in some dark fruitiness. From the gravelly soils of Block 39 come the wine's backbone. 91% of the grapes are Zinfandel, while 9% are Petite Sirah. The individual lots were fermented and placed in oak barrels, 40% French and 60% American, of which 20% were new. Aging took place over 17 months, so there is plenty of oakiness here.. 6,072 cases were produced. Medium ruby coloring decorates the wine visually. Aromas of cherries - bright and ripe - lead the nose, with raspberry, vanilla, pepper and hot chocolate adding complexity. Cherry plays on the palate, too, with blackberry, oak spice, black pepper, mocha, a little black tea in supporting roles. There is a really great mineral streak here - no big surprise considering the array of rocks and shells apparent in the vineyard. Juicy acidity and firm tannins make it a great wine to pair with a grilled burger. It works well with a bit of a chill on it, but the flavors really open up as it warms. Dessert fans should note that it's awesome with dark chocolate. Cornerstone Cellars made their name with Napa Valley wines before branching out into the production of Chardonnay and Pinot Noir in Oregon's Willamette Valley. Of Oregon, Cornerstone's Managing Partner Craig Camp hasn't enough good things to say. He writes that the region's "limitless potential ... makes it one of the most exciting wine regions in the world." He thinks that there, "the best vineyards have not even been planted yet. It's a brave new world with no where to go but up." He also lays it on pretty thick for the Oregon wine team, led by Tony Rynders, named by Camp as "one of the most dynamic winemakers anywhere." Camp loves to talk vintages, whether in Napa or Oregon. Of the Willamette Valley 2011 season, Camp notes that "rain and cool weather made fruit sorting an art form if you wanted to make exceptional wines. We rejected bin after bin and individually sorted and selected each bunch that made it into the fermenters." He also likes to talk about the wine: "The end result speaks for itself in the beautifully lifted and structured 2011 Cornerstone Oregon Willamette Valley Pinot Noir, White Label. The wines from this year are naturally tight and are only now starting to reveal their delicate layers of complexity. As someone who cut their pinot noir teeth on Burgundy I particularly love this wine." He thinks you will, too. This wine was bottled after 14 months in barrels. 1500 cases were produced, and it retails for $50. Alcohol sits at a level more familiar to Burgundy than Napa, 13.5% abv. It was made from Willamette Valley Pinot Noir grapes taken from five different areas - 29% Yamhill-Carlton, 29% Eola-Amity, 25% Dundee Hills, 11% Chehalem Mountain and 6% Ribbon Ridge. The Cornerstone 2011 Oregon Pinot Noir is a medium-dark shade of ruby red. Its nose gives fresh cranberry aromas, along with a light dusting of spice and a lovely floral component. The taste is gorgeous, too. Cranberry is a good descriptor, although the flavor is not quite as tart as it might suggest. There is a ripeness to it which is unusual, given the cool climate/cool vintage double whammy. All that coolness does come to bear in a refreshing acidity, with nice, firm tannins to go with it. There is a splash of spice, a tad of tea and about an atom of anise in the mix on the palate as well. Blauer Zweigelt - one of the names by which Zweigelt is sometimes known - is an Austrian grape created over 90 years ago by viticulturist Fritz Zweigelt. His crossing of the St. Laurent and Blaufränkisch grapes really took off. Zweigelt is now the most widely planted red grape in Austria. It's also popular across much of Eastern Europe. This Blauer Zweigelt - from a producer named Brunn - was supplied to me by repesentatives of its US importer, The Artisan Collection, which specializes in small, artisanal producers around the globe. This wine, labeled as Wein aus Osterreich, from the state of Niederösterreich in Lower Austria is noted as trocken, the German term for "dry." Trocken is not used much on Austrian wine labels, since most wines in Austria are produced dry anyway. Brunn is a small, family-owned winery located north of the Danube in Kamptal. The wine is 100% Blauer Zweigelt grapes, hand-harvested from old vines. Winemaker Karl Steinschaden produces this red to 13.5% abv. It's really fun to drink - a little bit like a restrained Cabernet Franc or a Pinot Noir gone wild. The nose exhibits savory spices and tobacco, a tart twist plus a little hint of gunpowder to liven up the show. On the palate, red berries, cinnamon, allspice, nutmeg and a really nice acidity get things moving, while a firm tannic grip is apparent upon opening. The tannins soften over time, so pair with a steak right away. "It smells like dirt." My wife took in the wine's aroma again. "I know," I replied. She insisted, "No, really, it smells like soil." "That's the idea." Denise was amazed by the aromas wafting from the bottle after I had opened the wine. She took the bottle and had a swig. Oh, it was a ladylike swig, but there she was, my dainty little flower, knocking back a gulp of great wine right from the bottle. I always think that when a wine has a great nose, I could just sit and only smell it. But maybe a wine with a great nose should make us grab the bottle and have a blast, unable to wait for niceties like glassware. It should compel us to have a taste, right then and there. The Santa Maria soil of Bien Nacido Vineyard is amazing. It darkens everything that comes from it. Pinot Noir is roughened, Chardonnay is toughened and Syrah is marked with the X. The darkness of a wine made from grapes grown in Bien Nacido Vineyard can be overwhelming. The grapes for Bonny Doon's 2011 Bien Nacido Syrah come from Block X, an older portion of the vineyard planted with the Estrella River Syrah clone. The wine retails for $50 and only 463 cases were produced. A year and a half (or so) in French oak left its mark like a line in the dirt; a tic-tac-toe criss-cross map pointing the way to buried treasure. It's a deep, dark wine with a nose that is nothing if not intense. Savory meets fruit as tar, tobacco and spice add complexity to plum, blackberry and currant. The palate carries that interplay further, with that dark fruit colored a little brighter by baking spices, pepper and meat. And the dirt of Santa Maria. In a brief (for him) synopsis of his career with grapes, winemaker Randall Grahm writes, "Having tried my hand at Grenache in 1982, it seemed that the following year it was time to further my Rhône education with Syrah. (I didn’t quite have the financial resources to purchase them both. There weren’t many Syrah options, so I went with Cliff Giacobine’s fruit at the Estrella River Vyd in 1983. We continued to purchase from him until the Bien Nacido Syrah came into production and became our default source for Syrah. Not a lot was understood about Syrah in the day; these vines were terribly over-irrigated, and over-cropped; the blistering hot climate of the east side of Paso tended to really efface varietal character and led to grape musts the acidity and pHs levels of which were totally out of whack." "The ultra-consistent older Block X, planted with the "Estrella River" clone of Syrah (I suspect without any foundational evidence that it may actually be "Serine"), produces an extremely peppery, bacon-fat version of Syrah, far more consistently than modern clones." Grahm notes, "This clone of Syrah has largely fallen out of favor in recent years, supplanted by modern clones that are beefier, darker in color, but lack the distinctive peppery spice of the proper Syrah we love from the Northern Rhône." Hooray for dirt. Hooray for Santa Maria. Hooray for Block X. Chef Ludo Lefebvre’s tiny Petit Trois restaurant - in a strip mall on Highland at Melrose - occupies the former space of a Thai takeout place. His next-door dinner spot, Trois Mec, is in a former Raffallo’s Pizza joint. The signage from the earlier incarnations are still on top of the building, so trust the directions and just pull in. Yes, an actual parking lot! No reservations, no cash and no tip calculator needed - an 18% gratuity is added to the bill. A recent Sunday lunch at Petit Trois found the wife and me living it up like the rent wasn’t due. Ludo’s food is like no other I have had. My croque monsieur sandwich of ham and Mornay sauce was a rich, gooey delight. All others from my past - dry and handheld - just fell off the list. The omelette for Denise was perfectly done, soft and creamy. She commented, “If you can’t cook simply, you simply can’t cook” - citing Madame Mallory in “The Hundred-Foot Journey,” who asks potential chefs to make an omelette by which they are judged. Judging by my wife’s reaction, I’d say Ludo passed the audition. Chinon - a town in France’s Loire Valley - is unusual, in that the focus is on red wine there and not white. Cabernet Franc is their grape of choice, and they work wonders with it. The wines of Chinon can range from light and fruity to dark and tannic, all bearing the mark of minerals. The Domaine Grosbois Chinon 2011 falls somewhere in between. Loads of delightfully grapy cassis aromas mix with spices like cinnamon and nutmeg. The palate also conveys a grapelike sense with the cherry and blackberry flavors. Nice acidity and moderate tannins make for an easy sip. The finish is rather lengthy and a slightly floral berry tartness is left behind. I thought briefly that I might have preferred a white with the sandwich, but I certainly had no complaint about the Chinon. It paired quite nicely with the ham and cheese. If Chianti still makes you think of a lackluster table wine more valuable for the straw-cased bottle that contains it, you should sample some wines from that Italian region. There’s not a straw basket to be found. No wax drippings down the side of the bottle, either. I still think of our friend in that straw-bottle-Chianti kind of way - he is old-school. Ruffino, though, has been around for years. Here’s the way they tell their story: "In 1877 when cousins Ilario and Leopoldo Ruffino embraced their passion for winemaking by establishing a small winery in the town of Pontassieve, near Florence, the region already had a centuries-old tradition of growing exceptional wine grapes. Even so, the two Tuscan natives felt certain that much of the area’s greatness had yet to be revealed. Tuscany had been heaped with good fortune: mineral-laden soils, the cooling influence of the Mediterranean Sea, the dry summers that wine grapes favor. And all those luscious, sun-drenched hills. Ruffino was one of the “first major wineries with vineyard estates in Italy’s three most renowned wine-producing regions – Chianti Classico, Brunello di Montalcino and Vino Nobile di Montepulciano. Their Riserva Ducale was first released in 1927. The Chianti Classico wine is named to honor the Duke of Aosta, who traversed the Alps to try the Ruffino wines. He liked them so much he named Ruffino as the official wine of the Italian royal family. The wine contains 80% Sangiovese grapes, with the remainder being a mix of Merlot and Cabernet Sauvignon. All the grapes come from the Tuscan Chianti Classico region, from Ruffino’s Santedame, Gretole and Montemasso estates It is aged for two years in oak, then another three months in the bottle before release. Riserva Ducale is a medium-dark red, with cherries on the nose that are joined by oak spice and lavender. The acidity plays a huge role in the mouthfeel of this wine, with red fruit and spice flavors. A bit of red licorice shows on the finish. The tannins are fairly healthy, too, and that acidity makes me want a bowl of spaghetti and meatballs. If I were to burn the roof of my mouth, however, that same acidity could cause problems. Careful with that hot meatball. The wine was darker and smoky tasting on the second night the bottle was open. More savory notes crept in, but not to the detriment of the fruit or the acidity. It's no showstopper, but it is sturdy and reliable - old-school, you might say. Like an old friend, there is an easy familiarity here. Also like an old friend, you can count on it in a pinch. Delaware's history with wine goes back a long way. Historically, the first Swedish settlers in Delaware planted grapes and made wine as early as 1638. Definitely a small production state, Delaware's wine output is lumped in with that of 13 other states collectively known as "other," totaling a minuscule amount of wine production. There are only a handful of wineries in The First State, so nicknamed because it was the first to ratify the United States constitution. It is sometimes referred to as the Diamond State, thanks to noted wine lover Thomas Jefferson. He compared Delaware to a diamond, "small but valuable." As a colony, Delaware was claimed not only by England, but Sweden and Holland as well. The Dutch were the first to colonize the area. Who knew Delaware was in such demand at that time? By the way, Delaware is still in high demand. Their corporation-friendly laws make it a very popular place to do business. More than half of the publicly traded companies in America are incorporated in Delaware. Harvest Ridge Winery consists of a 120-acre plot in Kent County - one of only three counties in the state. The property actually straddles the Delaware border with Maryland. 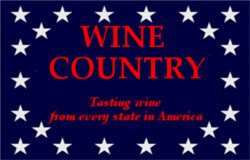 For this reason, the wines are labeled with the "American" AVA, not "Delaware." Their unique location - on the Mason-Dixon Line - also allows them to claim as their own one of the original Mason-Dixon markers - number 47, if you're keeping score at home. Owner Chuck Nunan was a home winemaker who got the bug to start a winery after visiting one in South Carolina. Land was purchased in 2005, vines were planted in 2011 and the wine was poured in 2013 when they opened the doors as Delaware's fourth winery. The farm was originally called Harvest Ridge, which Nunan thought had a nice ring to it for the name of the winery. The Nunan family photo looks like a crowd scene. I count fourteen Nunans, but several of them look a bit young to be much help working in the vineyard. They probably like testing the grapes, though. Winemaker Milan Mladjan lists Merlot as his favorite wine grape, and insists that he is not ashamed to admit it. Harvest Ridge Winery revels in their East Coast terroir, proudly using only grapes grown on the estate or fruit sourced from other local growers. They make wine not only from grapes, but also from apples, pumpkins and honey. They were kind enough to supply me with three of their grape wines for the purpose of this article. The Chambourcin grape is a French-American hybrid that is resistant to fungus and does well in places where the winter climate is on the cold side. Delaware comes to mind. Medium dark purple, the rich nose offers notes of coffee grounds, earth and a grapy blackberry aroma. On the palate, flavors reminiscent of Pinot Noir come forward - black tea, dark wild berries, pomegranate - but in a bigger, bolder setting than is usually found in Pinot. Alcohol is quite restrained, at just 12.6% abv. Great acidity makes it a refreshing sip and an easy wine to pair with food. The tannins are subdued, but quite functional. This is a very fruity - and complex - wine that feels big in the mouth and will pair wonderfully with grilled pork chops. It's also amazing with fruit and nut bread. The Harvest Ridge Cab has a tint and fragrance which remind me of Pinot Noir as well, at first. The medium hue leads to a nose with cranberry and black raspberry apparent, but there is more to come in this complex set of aromas. Plums and cassis seem to be trying to hide behind a screen of cigar tobacco, smoke, spice and herb. The oak is well played - noticeable, but not overbearing. In the mouth, this wine is big and juicy. Fans of California Cabs may even be fooled by the 13% abv number - it tastes bigger than that. The acidity is absolutely alive, while the tannins are forceful enough to take on a rib eye with their bare hands. I don't know that I would guess it to be a Cabernet had I tasted blind; perhaps I would have blurted out "Zweigelt" before the unmasking showed my error. The wine's cold-climate qualities are the story here - acidity, spice, tartness, low alcohol - but, as with any Cab worth its grape leaves, it is a real mouthful. This wine looks faintly straw colored and smells of tropical fruit and oak spice. It is billed as an unoaked wine, a claim that the winery stood by in a series of messages with me on Twitter. I still think it smells - and tastes - of oak, but they swear to the contrary. It is one of the biggest, fullest unoaked white wines I have ever tasted. There is the mark of oak on the palate, too - or, so say I - with apple and pineapple flavors abetted by a serious mineral streak that connotes wet stones and citrus fruit. The finish takes quite a while, and that lovely touch of lime peel lasts all the way through it. All in all, the terroir of Delaware is well represented in the wines of Harvest Ridge. During the winter months, we tend to lean heavily upon red wines - wines that will warm us while it is on the way down. A Cab, a Merlot, a Zin... or a Port. Especially a Port. Sometimes, though, a nice white wine is what we want - even when there's a chill on the thermometer. Light on its feet and ready to refresh, a good white wine provides a nice change of pace and keeps things interesting. Don't make them wait for spring to roll around before you enjoy them. The Vinho Verde wine appellation is in Portugal's Minho region, in the northern part of the country. The Las Lilas Vinho Verde 2013 is made using Portuguese Louriero and Treixadura grapes from estate vines 25-plus years old, growing a thousand feet above the Duoro River. Winemaker Jose Oliveira has crafted a white wine made for sipping. At 10% abv, you can afford to do so liberally. It's a pretty affordable quaff, retailing for around $10 or less. This wine was provided as a sample for review by the importer, The Artisan Collection. The Las Lilas Vinho Verde - a pale, white wine - pours up frizzante, with a slight bit of bubble action showing on the sides of the glass. Pleasant aromas of white peaches and nectarines are the first above the rim, while the scent of grapefruit kicks its way through the mellow to liven up the joint. On the palate, there is a nice citrus play, with orange, lemon and lime peel figuring into it. That grapefruit angle is a bit more subdued on the tongue than is in the nose, but still adds freshness to the overall sensation. The wine finishes without extreme tartness but the memory fades fairly quickly. Its crisp acidity and refreshing zing combine to make it a great match for a shrimp salad or a ham and cheese sandwich. 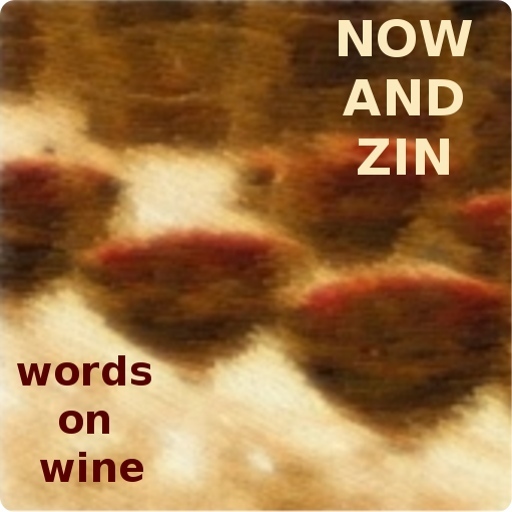 It's a great wine for spring or summer, but you shouldn't feel compelled to save it for then. Pair it with potato soup or clam chowder right now. Masi - led today by Sandro Boscaini - claims to be located directly on the cutting edge of wine technology. The appassimento technique is used by Masi to dry the grapes before fermenting, resulting in greater concentration of color, aroma and flavor. It’s actually an ages-old technique, applied in a 21st century environment. The 2012 Masianco is not a 100% varietal wine - it is made from 75% Pinot Grigio grapes and 25% Verduzzo Delle Venezie grapes, a local variety in this “supervenetian” blend imported by Kobrand. The Pinot Grigio grapes are grown in the Castions di Strada vineyard in Friuli, while the Venetian Verduzzo is the grape which undergoes the appassimento process. It also gets some time in barrique after tank fermentation. At 13% abv, the alcohol is quite restrained. The retail price is $15. I was given a sample for the purpose of review. The wine's nose is very attractive, and it shows the dried side of the fruit, especially apricot. There is almost a petrol angle to the minerality. Masianco is tinted light gold, a little darker than the usual shade for a Pinot Grigio. The palate is a whole lot more complex that your usual Pinot Grigio, too. The dried fruit flavor is quite intense, but it's the minerality that really carries this wine. That and a zingy acidity that refreshes completely. The finish lingers with traces of lemon and orange peel lasting long beyond the sip.